An epic struggle to claim eternity. Ruled by a Sorcerers' Dynasty. Beyond the arctic wall of ice lies a new and unknown world. One man plans to sacrifice the known world and everything in it to gain immortality in paradise. 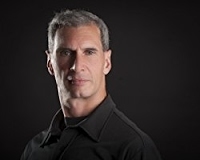 The world is filled with lies and liars and America's most controversial alternative media journalist Dan Sheraton wants to find out why. Strange things have been seen out in the New Mexico desert, and when an even stranger phone call leads him on a dangerous adventure to a mysterious destination, Sheraton discovers earth shattering epiphanies. When an insidious plot hatched by a shadowy global corporation threatens the survival of mankind the most unlikely hero emerges. 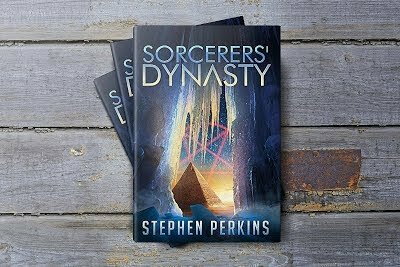 Excerpt from Sorcerers’ Dynasty by Stephen Perkins copyright 2017 all rights reserved. The new age of darkness was about to fall. It was the epoch of nightmares, demons, and hateful spirits, hatched out from the foul womb of mankind’s subconscious. And yet, there was nothing new except what had been forgotten. Since time immemorial, the world had always been merely a theater of illusion, albeit a very persistent one, ruled by a sorcerers’ dynasty. A long shadow slowly crept from a dark corner of the laboratory and into the spangled light. From between the array of shiny consoles and computer monitors blinking gold, green, and blue, Dr. Nathaniel Martin proudly gazed upon his twin creations. More than any of his inventions over the long centuries, of these he was most proud. Though patents for his most brilliant creations had been filed under the property of his benefactor, Serenity Corporation, the sensory thrill derived from the sheer act of creation, and the idealistic notion merely one of his inventions may benefit mankind, had sufficed and sustained him. For, what were material wealth, comfort, and fleeting fame, Martin pondered, next to the higher considerations of advancing the interests of his fellow man? Among his other ground-breaking inventions, he pondered the significance of one of his other great discoveries, the secret to human immortality. Would that his desire to share it with the world at large came to bear, Martin thought, but for the iron hand of his benefactor, Serenity Corporation. Though Serenity represented his master, Martin contemplated, throughout the centuries, it had shown itself to be unprincipled, ungrateful, and selfish, believing in nothing save its own material enrichment. In cool deliberation, he stroked the silvered strands of his well-trimmed beard. Stepping from out of the shadows, he arched his skeleton thin frame over the glass canopy. They were as much symbolic as material flesh, he thought, one black, the other white, representing mankind’s inherent duality. Now, his decades of painstaking research into the creation of sentient life had at last come to triumphant fruition. The doctor glanced at a young laboratory technician standing nearby, tapping figures onto the screen of a digital tablet. Setting down the tablet, the technician drew closer to Martin. Martin’s slender fingers floated over the canopied glass like wild birds. His active mind churned with grand speculation. Ruminating deeply, he wondered if making his private deal with the Archons, would, in the end, be worth it. Had he made a mistake? Would having agreed to resurrect the ancient spirits, bring about unforeseen, even disastrous consequences? “I wonder which shall ultimately prevail to inherit the garden of Eden,” Doctor Martin speculated. A sly smile drew across Martin’s haggard but handsome features. No one, he was quite certain, not even Serenity Corporation, or the Archon spirits, possessed knowledge there was yet another sarcophagus secretly buried within the Arctic ice. Momentarily silent, Martin grew enamored with the vivid implications of his own speculative thought.